To improve its manufacturing processes and part traceability, Hutchinson has acquired a 3D scanner used for aviation activities. With the 3D scanner, all production steps can be exported, documented, modified, validated and re-imported in CAD software, ensuring optimum quality and maximum effectiveness from one end of the product design process to the other. The 3D scanner is used completely independently, to provide optimum assistance to Hutchinson customers. 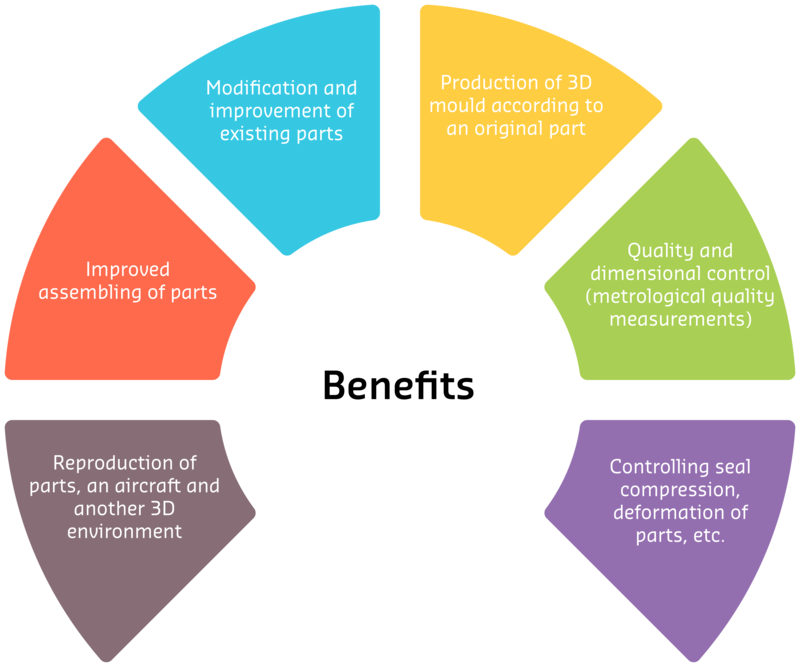 To summarise, the 3D scanner can be used to digitize and reproduce the parts produced, repaired or modified and duplicate an environment which can be reworked according to different needs. At the end of the post-processing, the data file can enable 3D printing. This scanner is used for example to optimize the time cycle of painting on spiral of the spinner during maintenance or to reproduce a tooling platform of bonding joints to meet a higher maintenance rate.